The black shirt and jeans are both from Primark and the leather boots – very wild western cowboy – were from a Vintage shop that closed down. I adore this outfit. 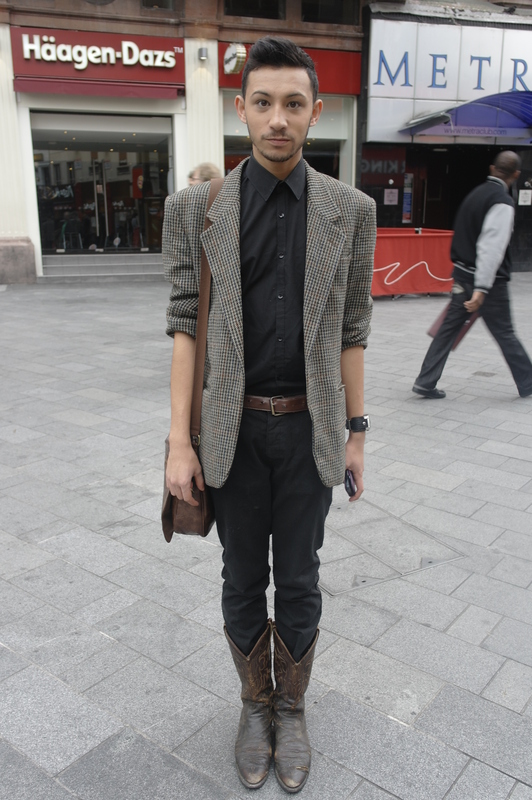 The minimalist colour scheme with the base colours of Brown and Black + the checkered jacket and cowboy boots were a pleasant sight in Leicester Square amongst the sea of loud colours yesterday afternoon. A very sophisticated and fashion savvy look. Tonight is also the exclusive fashion book launch of ‘Fashionstyleologer – London Street Fashion’. An event I am excited to be attending! Photos and a short article on the event will be up in a few days. After looking into a few of the blog articles on your blog, I honestly like your way of writing a blog.